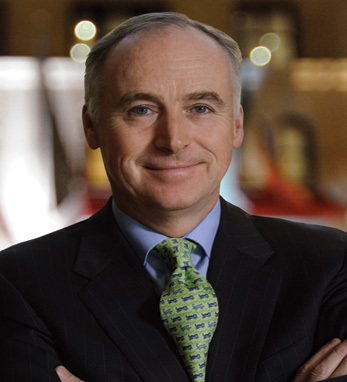 John Fitzpatrick, Chairman and CEO of the Fitzpatrick Hotel Group North America, relocated to New York from Ireland almost two decades ago and gained a significant reputation in hospitality in one of the most competitive cities in the world. He started his career with his family’s hotels in Bunratty and Dublin over 25 years ago. In 1991, Fitzpatrick opened the Fitzpatrick Manhattan, the Group’s first U.S. hotel. In 1995, he assumed management of the Fitzpatrick East 55th Street, and in 1998 he opened the 155-room Fitzpatrick Grand Central Hotel. Expansion to downtown Chicago followed in May 2001 with the opening of the Fitzpatrick Chicago Hotel, which was sold in 2006 for a handsome profit. Fitzpatrick completed hotel management courses in Ireland and later, the prestigious hotel program at UNLV in Las Vegas. He was recently appointed to a second term as Chairman of the Hotel Association of NYC, and also serves on the boards of The American Ireland Fund and the Ireland-US Council. He has received numerous awards, including the Ellis Island Medal of Honor in 2002 and recently, an honorary OBE from Queen Elizabeth II.